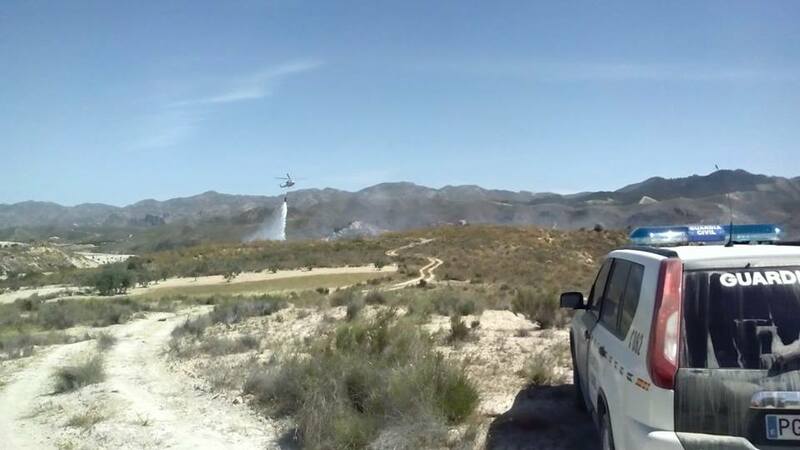 Downed power lines caused both recent major fires in Almeria province, according to the official INFOCA investigation into the cause of the blazes which destroyed almost 6,000 ha of forest and scrub. The usual blight of unnecessary, badly maintained, unsightly Endesa power lines that run riot over the province have again caused major disruption. (Not a fan of the company). Bonfires in rural areas have been forbidden as from the 1st of May in a sudden move by the Junta to stave off any more forest fires. 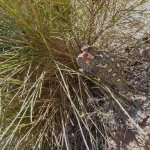 It’s a month earlier than expected, and any permits that have been issued for the month of May have been annulled by the Environmental Ministry. Staff at the regional HQ of INFOCA arrived to work this Saturday morning to find that crucial equipment had been stolen overnight. Investigations into all of the recent fires in the province have been set back as the data has now vanished. 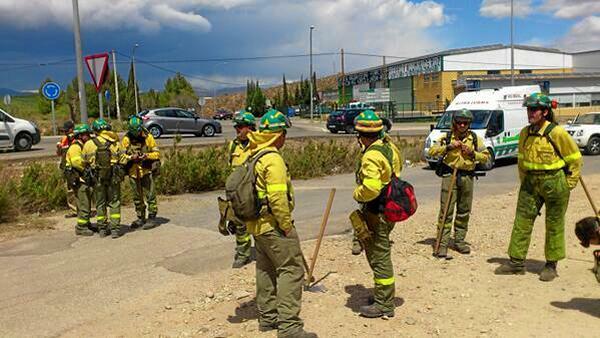 Emergency equipment was lent by Granada and Jaen units to help Almería continue working until it can be replaced. 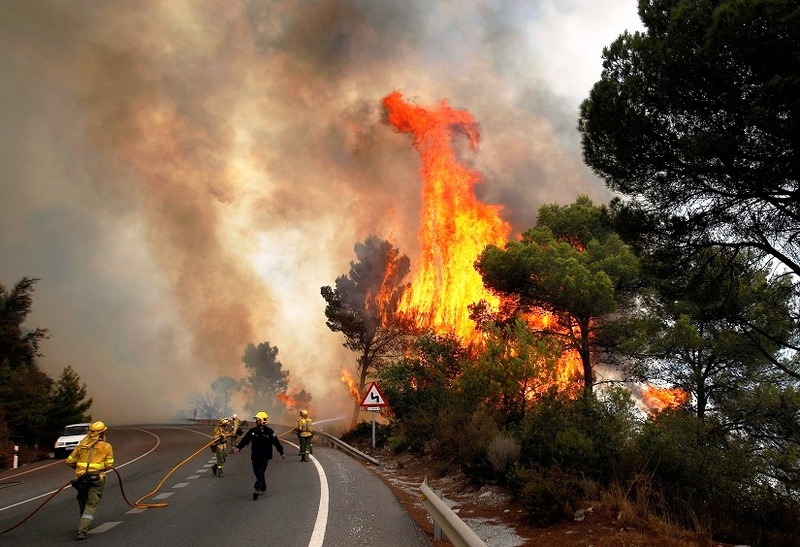 300 specialists and 11 aircraft have been fighting since yesterday several large fires in the province. 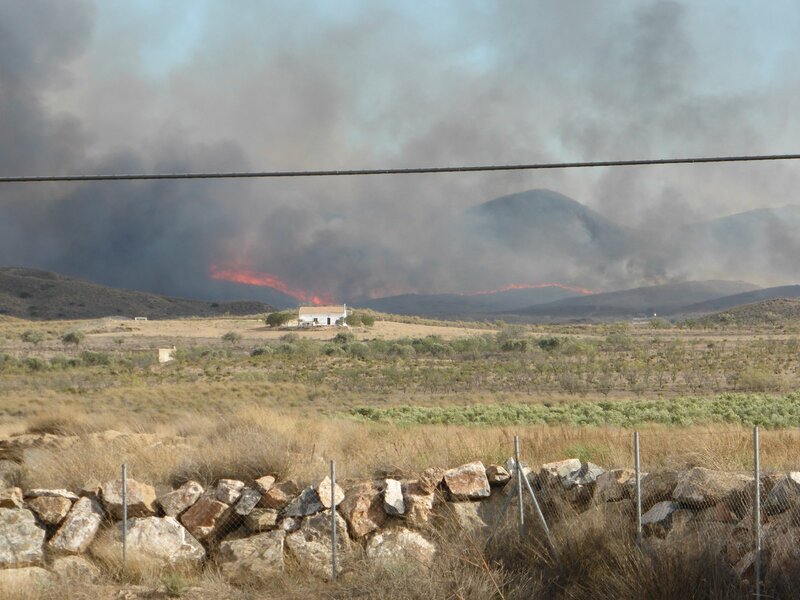 Somontin, lucainena and sorbas have all had fires blazing since yesterday, although the first two are now stabilised.